Winter truly arrived in Britain as the country woke up on Friday morning to a blanket of snow. While for some it means school closures, days off work and fun in the snow, many aren't quite as fortunate. 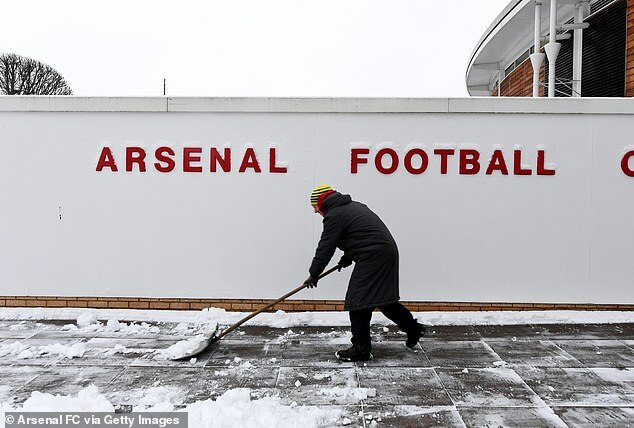 And footballers are no different, with the snow being cleared from Arsenal's training ground ahead of Friday's session.